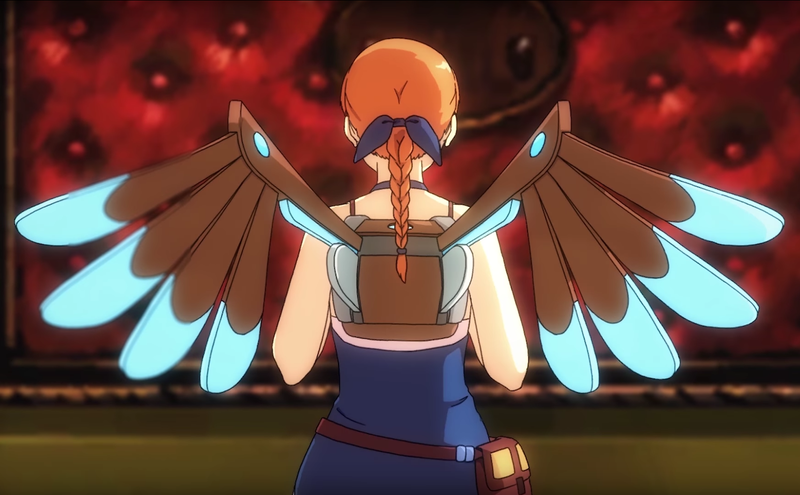 Puzzle-platformer Forgotton Anne plays like a side-scrolling Studio Ghibli movie. Without a health bar, an inventory or a weapon, Anne, who keeps peace in the Forgotten Lands, is Sophie from Howl’s Moving Castle or Kiki from Kiki’s Delivery Service—only, it’s unclear whether she’s righteous or inhumanly callous. Anne’s home is another dimension, the one where lost socks, shoes, lamps and other missing items end up. Objects called “Forgotlings” do hard labor in these Forgotten Lands, such as polishing bridges and manning factories. They speak, too, usually with an abundance of personality. What animates them the electric force anima. Anne, as an Enforcer, can distill, absorb and repurpose Forgotlings’ anima, sometimes powering trains or entire buildings, though this drains the Forgotlings of life. Anne is tasked with quelling a Forgotling rebellion that could compromise a life-or-death project her master is working on: building a bridge back to the human world. Moving through the 2.5-D world, Anne’s mechanical wings take her from platform to platform, where she confronts challenging puzzles. Sometimes she has to recirculate the flow of anima to get something to work. Other times, it’s a “get to the next area” puzzle with elevators and levers. On long stretches of platform, the camera zooms in to appreciate Anne’s charismatic design—her warrior-princess dress and adorable blue bow—and the fantasy cityscape she passes. Anne’s animations seamlessly sync up with player inputs, which adds to the game’s playable anime vibe. Out today for PC, Xbox One and PS4 Forgotton Anne is simple and delightful. Beneath its sweet and childlike imagery, there’s a satisfying darkness and challenge.